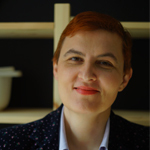 Featured / Recipes / 30.11.2014. Krvavice or black sausages are made on the occasion of slaughtering pigs. The sausages are stuffed with cooked and chopped offal, blood and barley. The mixture is seasoned with salt, pepper, paprika and pimento. They are usually fried and served with stewed Sauerkraut. Fry the sausages in 40 g (1.4 oz) lard on a moderate temperature about 25 minutes, flip occasionally and add some water. On the remaining lard stew the rinsed Sauerkraut with laurel leaves and pepper. Season with salt and stew for 25 minutes by adding some water. When finished cover the stewed Sauerkraut with the fried sausages. Before serving shortly bake them in the oven. 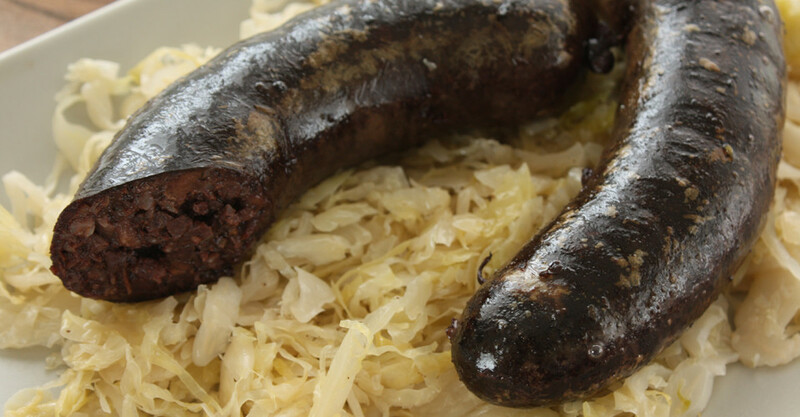 Black Pudding sausages with Sauerkraut are served with homemade bread.